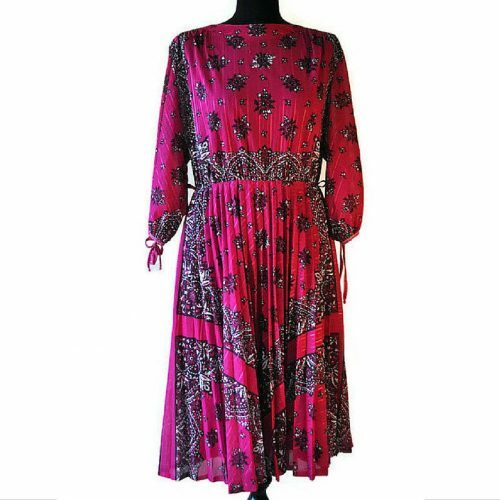 1940's Cotton Day Dress 12 - Just Vintage Clothing Co.
Late 1940’s cotton day dress made in a pink floral fabric. 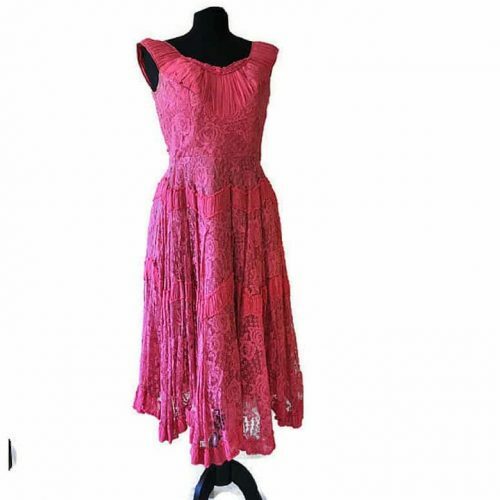 This delightful 1940’s cotton day dress is made from a lightweight pink floral cotton. It has been photographed over a petticoat to give an idea of fullness, but actually looks best without the petticoat. It has a rectangular panel down the front. With small turn up sleeves. 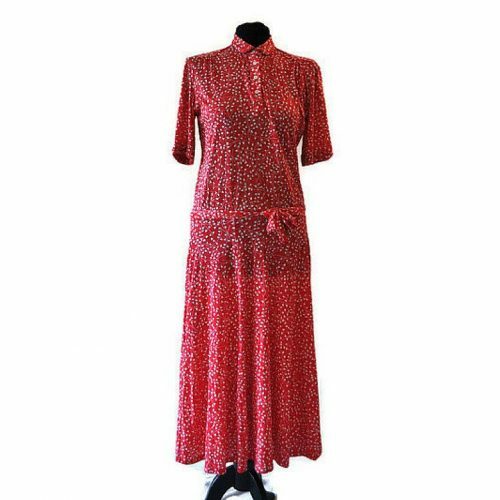 This 1940’s cotton day dress has faux buttons down the front but no fastening at the waist, so has to go over the head and shoulders at 32″. It is then cinched by the belt, which has a popper which could be moved to accommodate different shapes. 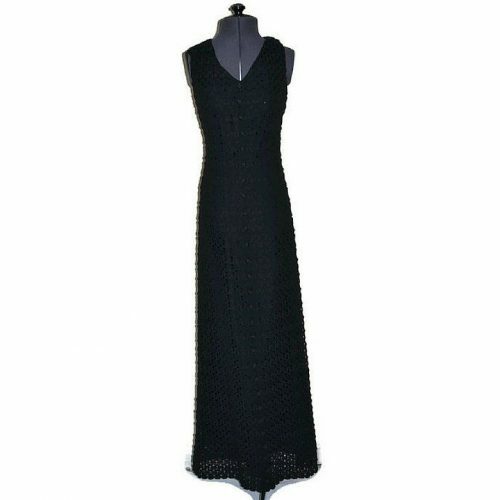 See our other vintage dresses.